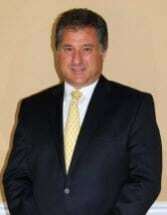 Silvio M. Silvi was admitted to the NJ State and Federal District Courts and Ocean County Bar Association in 1986. He is a member of the Elder Law Society, and the Ocean County Board of Realtors. He serves as a Mediation Panelist, Superior Court, Special Civil Part Ocean County. He graduated from St. Joseph’s University B.S. (1980) and Dickinson Law School (1986). He Worked as a Legislative assistant to Representative John Cordisco (1985 - 1986), House of Representatives, Harrisburg, Pa. Mr. Silvi is a member of the Men of Malvern, Pa. Retreat League and the Italian American Cultural Society of Ocean County. He is a Partner with the firm, and concentrates his practice in the area of Real Estate, Elder Law, Municipal Court, Landlord Tenant, Social Security Disability, Corporate Commercial and Tax Appeal matters. He also handles Estate Administration, Estate planning, Wills, Power of Attorneys, and Living Will preparation. He was admitted to the New Jersey Bar in 1986, and has been practicing for over 31 years. He is married with three children, and resides in Toms River. He was born and raised in Bucks County, Pennsylvania, however moved to the Jersey Shore because of its proximity to New York, Philadelphia and Atlantic City….and his fond memories as a child spending summers at Seaside Heights, boating on the Barnegat bay, and the Atlantic Ocean. As a young man, Mr. Silvi worked in his family’s grocery store in Tullytown, Pa. becoming an accomplished butcher, and learned all aspects of the food retail business. He then attended St. Joseph’s University in Philadelphia, earning a degree in Food Marketing, and took a position as a sales representative with Nabisco Brands, Inc.
After working in the Philadelphia and Baltimore/Washington market, he returned to Pennsylvania and made application to law school. He graduated from Dickinson Law School in 1986, and started his law career in Toms River, NJ, opening his own firm in 1990. Silvio is an avid Philadelphia Flyers fan and, when not in the office, he enjoys hunting, fishing, skiing, dining, golf, antique cars, and spending quality time with his family. He also enjoys making wine, and cooking.